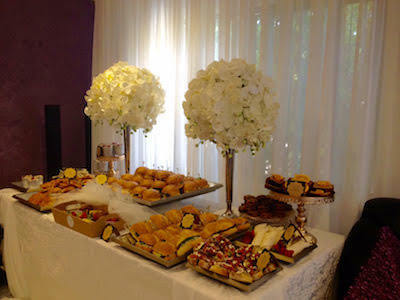 Fast and Fresh Catering is Sydney based caterer specialising in corporate breakfasts, morning and afternoon teas, and corporate lunches, as well as private catering for kid's parties, wedding breakfasts and open day events. One of Fast and Fresh's most popular breakfast items. Muesli cups with fresh fruit and yoghurt in cups with separate sections to ensure the muesli stays fresh and ready to mix before eating. As the name suggests, their service is 'fast' with a convenient online ordering system and always 'fresh' with a keen focus on delivering food that not only looks delicious, but is also full of flavour. 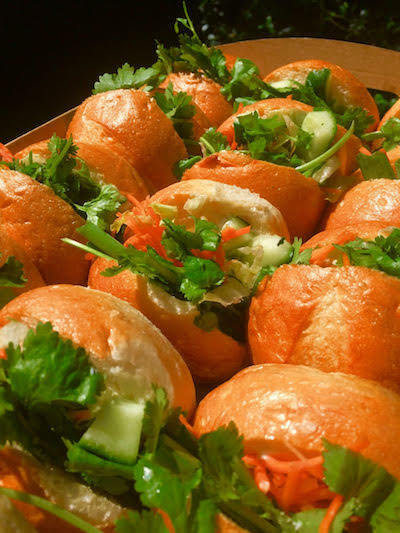 Fresh Vietnamese Banh mi rolls with fresh coriander served on rustic look platters. The always evolving Fast and Fresh Catering menu features a wonderful range of traditional breakfast and luncheon favourites alongside dishes with a Greek, Italian, French or Middle Eastern influence. Current menu highlights include a delightful New York style Bacon, Egg and Cheese Bagel, hearty Fattoush Salad and moorish Chia Seed Puddings. 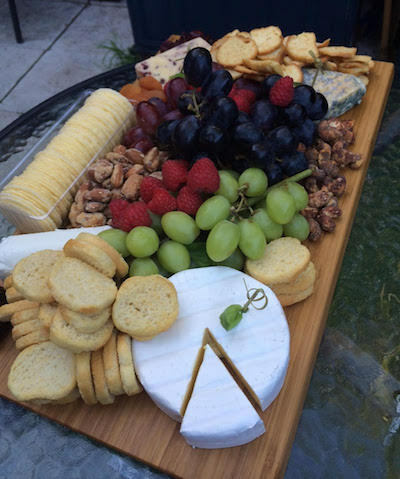 Stunning platters for every event. Their unique range of snacks and dishes are all prepared with the quality ingredients and the best seasonal produce and each item is also beautifully presented with the utmost care and professionalism. 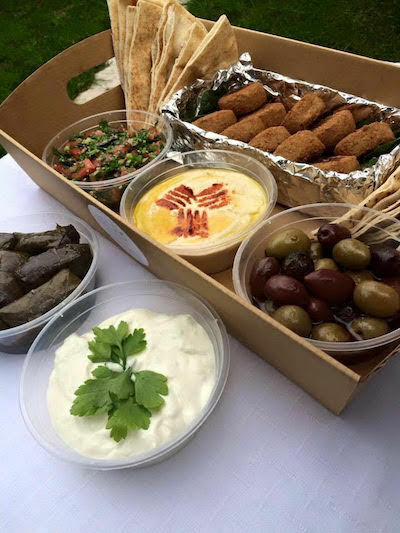 Gourmet mezze platter with an assortment of Middle Eastern dishes all on one platter. Includes tabbouleh, tzatziki, kalamata olives, hummus, stuffed grape leaves, Lebanese bread, grilled peppers and eggplant, oregano pizza, falafel, rocket and and tahini. 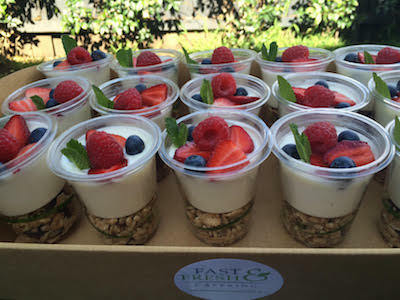 Treat your staff, friends, family and guests to healthy breakfasts and lunches with a twist, vibrant fruit platters and delicious sweets and treats with Fast and Fresh Catering and discover why they are the freshest caterer in Sydney! 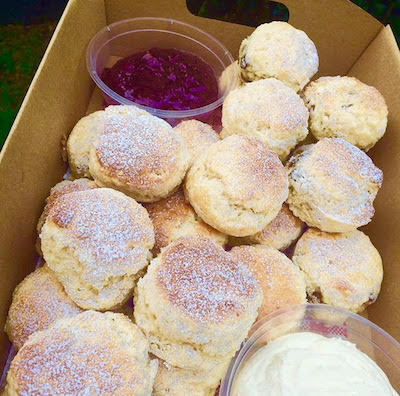 Brownies, hot cross buns, quiche, cupcakes and scones are all baked fresh and delivered to you. You can easily browse the menu and order via their website and they will be sure to deliver on time. The team prides itself on great customer service and offers a fast same day response to emails and phone calls. If you need to cater to specific dietary concerns, speak to the friendly team today; call 02 8068 7221 or use the online contact form. 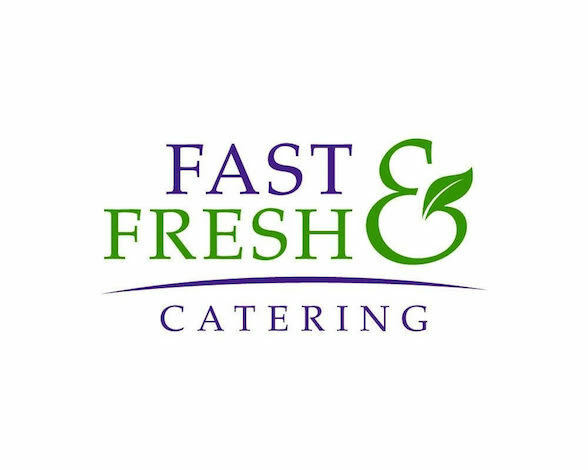 For more information on the menu, catering packages and what's new, head to fastandfreshcatering.com.au and like the official Facebook profile. As well as a continued focus our corporate customers Fast and Fresh also do private events such as this breakfast at the Groom's house.